Enablement of other educators to teach STEAM "Design Empathy"
" As one of the Inpatient School Specialist (teacher) here at Children’s Hospital, I am very excited about the possibilities to expand our program, help inspire creativity in our patients, bring smiles to those that have been impacted by long inpatients stays, and explore the world of technology and STEM (art too!) in a hospital setting. I am eager to work with you to create a program here for our patients and families. I appreciate you taking some of your time to see and learn about our program that we are so very proud of. Thank you and I look forward to continued hard work together in care of patients and families." " I worked with the CU Boulder Mechanical Engineering senior design team during the 2017 - 2018 academic year. From the start, I felt enthusiastic about the potential for positive impact that the toy would have for children in a hospital setting. And when this project became an open-source web portal with designs that can be used by anyone around the globe, I became even more motivated to contribute. 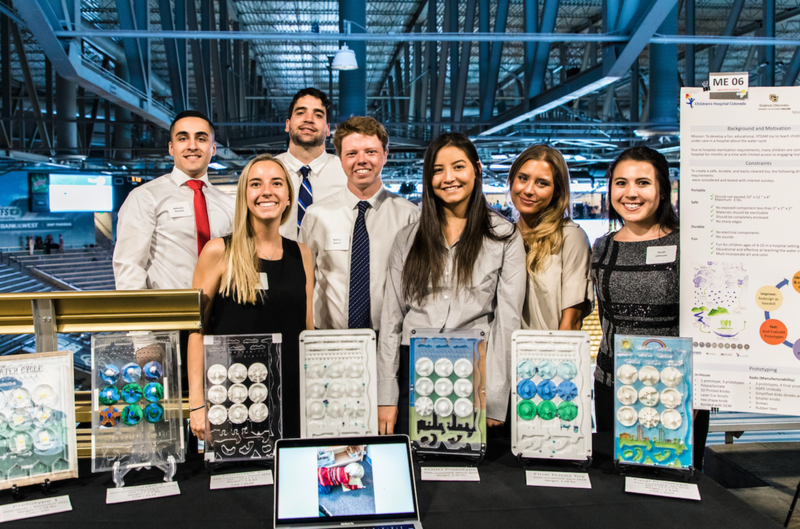 Working with this senior design team, helping them define their own design process and teaching others about it has been incredibly gratifying." "My name is Rachel Sharpe, I’m a Junior Studying Mechanical Engineering, STEM Education, and Entrepreneurship at CU Boulder. I have spent over 1,500 hours in the last two years working with children and underrepresented students as a volunteer and a teaching assistant. By being a teaching assistant, I don’t have to focus on running a lesson, so I get to circulate rooms paying close attention to the small nuances. I notice when students don’t understand instructions, when a group dynamic isn’t working, whether students are on task, frustrated, board, distraught…you name it! When I volunteered at Brian’s event I observed these students engage in this activity in a way that was different than anything I’ve seen. In the problem definition, Brian’s activity managed to have all 100 student eyes glued to his presentation. When the activity started, I circulated the room and was amazed as students knew exactly what they were supposed to be doing. For the next hour, they fearlessly approached the design challenge they were given. 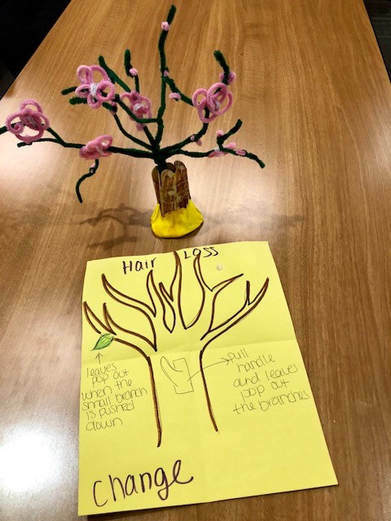 As students developed prototypes and rough concepts of toys to help explain think like hair loss, amputation, and the circulatory system I had chills. It’s a common belief that millennials tend to be selfish and impatient, but this room was a testament to how false these notions are. For example, one group, to explain hair loss, modeled a toy tree. When a button was pressed the leaves would fall, their idea was to explain, that like a tree loses its leaves, they would lose their hair. Falling leaves symbolize the changing of seasons, when the seasons change we have a lot of new and different things to look forward to and like a tree so would this child. I don’t believe it was by chance that this room of 100 teens were able to design from a different, more empathetic, part of their brain in such an involved way. Brian has created something that works, here is where I see the value. When you give students an activity that is relatable, challenging, and impactful it says that you believe in them. Students are smart, they see when you’re trying to trick them into engineering and when you have a problem that truly needs their help. These students felt entrusted with meaningful work, and they became empathetic mature individuals as they solved Brian’s problem. I wish more people in education could have observed what I did. The world is literally dying due to a lack of empathy, our people and our planet NEED this and he has something that could change it all…"
"Working with the CU team was a great opportunity to help new engineers learn how to take their current skills along with new ones and make a tangible impact in the world. It was very gratifying to provide advice and teach the students how to improve their ideas and bring them into a refined physical product. 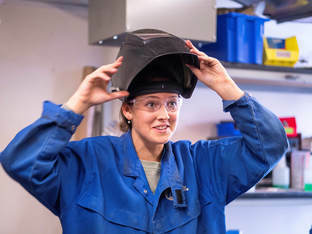 To be able to do this while making a product that provides joy and education to the most deserving kids is among the most rewarding projects I have been able to work on as a design engineer." 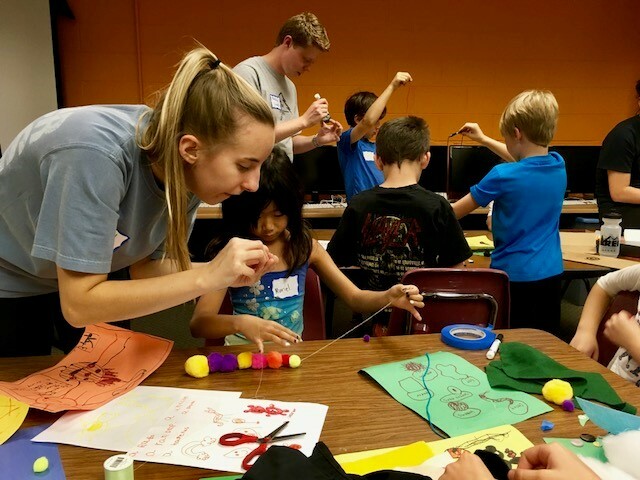 " It was amazing to see how engaged the preschool students were with the college students. They loved showing off what they enjoy doing and giving the college students ideas to incorporate into the toy they were creating. When they got to see their ideas come to fruition they were so proud and loved getting to be hands on with something they helped design. Their ability to brainstorm then give input, through discussion, into what they would add or how they would improve the toy empowered them to create their own design plans for the toy. 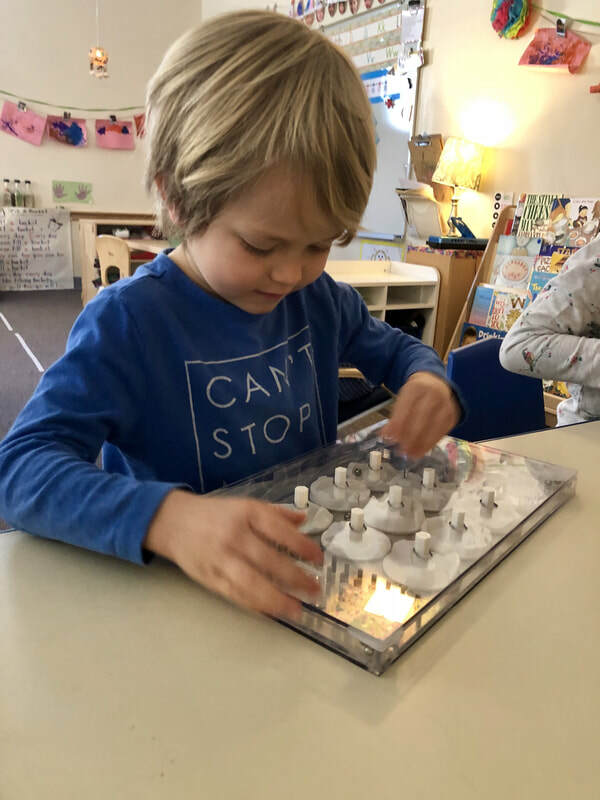 The higher level thinking process and that the college students engaged in with the preschoolers was well thought out, exciting and a diverse learning opportunity for both sets of students. We appreciate and LOVED the process and the outcome."